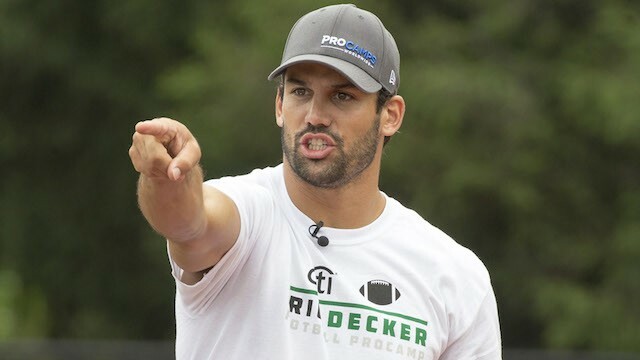 Pro Football Focus rated Decker as the 24th best wide receiver out of the 110 they graded. 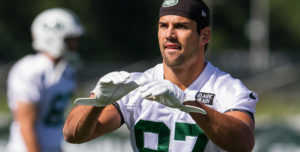 Decker’s 74 receptions were the most by a Jet since 2007, when Jerricho Cotchery had 82. He saved his best performance for the final game of the season. He torched the Dolphins with 10 catches for 221 yards and a touchdown in the season finale. PFF has a statistic called “yards per pass route” that measures a receiver’s production not just on plays where they catch the ball but on every play on which they run a route. Decker finished 16th out of 50 receivers with an average of 2.11 yards. Decker had an impressive start to his time with the Jets. He never shied away from the expectations that were placed on him and had some big moments in a bad season. With Chan Gailey now at offensive coordinator and Marshall playing opposite him, it will be interesting to see what Decker does for an encore. To continue reading, please visit the New York Post.